After 30 years of working in county and regional extension centers I accepted an Extension position that is located on campus. One of the unexpected challenges has been parking, after 4 months of parking in outer Mongolia, a spot finally opened up relatively nearby. Now my morning commute includes a shortcut through the greenhouse complex just south of Turner Hall. Last week I noticed one of the greenhouses filled with waterhemp seedlings. Some were dying, some were twisted up and some were doing fine. My first thought was that this might be some of the herbicide resistance trials, the next time I saw Aaron Hager, I asked him about it. I found out that he is conducting rate research with 2,4-D and dicamba. His concern is that with the pending introduction of 2,4-D and dicamba tolerant soybeans, rates that were developed many years ago for corn may not be adequate. If these rates were developed on regular pigweed they may fall short when dealing with tall waterhemp. 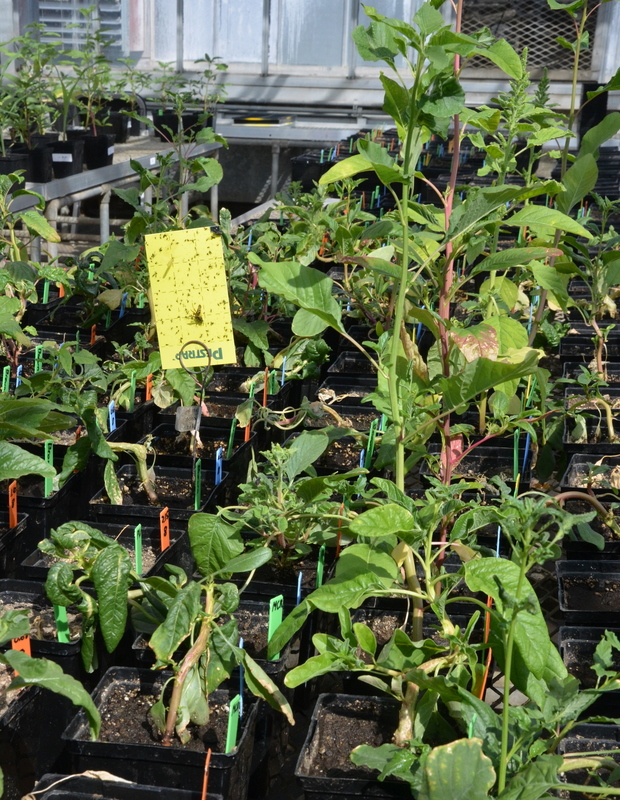 If we go the the field with the wrong rates, in addition to not adequately controlling the weeds we may speed resistance development in a species that has proven to be very adaptive. Stay tuned for future results.